Today's smartphones are powerful enough to perform complex image processing. The idea was born to develop an innovative app to detect the red and green phases of a pedestrian lights and translating them to acoustic or tactile signals. According to federal laws, most but not all pedestrian lights nowadays have acoustic and/or tactile signal generators, which allow the visually impaired or blind people to recognize red and green phases. However, some traffic signals do not support these additional signal generators or the signals are difficult to detect because of e.g. ambient noise. The working group of Prof. Zrenner at the Research Institute for Ophthalmology in Tübingen (Director: Prof. M. Ueffing), in cooperation with of computer science of the Faculty of Computer Science at the University of Applied Sciences in Augsburg, have devoted them to this problem. Under the direction of Dr. Torsten Straßer, a former student and present lecturer at the University of Augsburg and postdoctoral research fellow at the Research Institute for Ophthalmic Research, the students have developed an Android app for the recognition of red and green phases using a smartphone. With the increasing popularity of smartphones and the increase in the technical capabilities of these devices, more and more people with a visual impairment are using a smartphone in their daily lives. Since today's smartphones are powerful enough to perform complex image processing, which is used, for example, for so-called augmented reality applications, the idea was born to develop an app that was built using the camera and other sensors (e.g. GPS, Compass) of a smartphone to detect the red and green phases of a pedestrian light and translating them to acoustic or tactile signals. This app aims to allow people with a visual impairment to safely cross a street at a pedestrian crossing, regardless of local conditions. 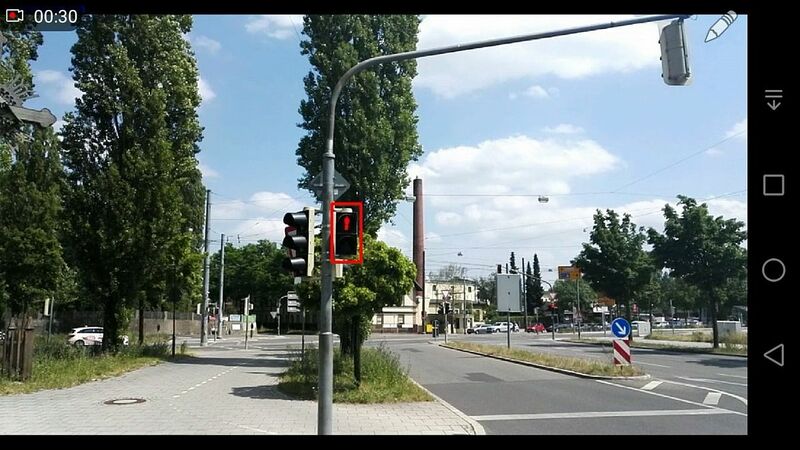 The detection of the pedestrian lights and the traffic light phase is realized with the help of machine learning. The sample data required for the training of the app were collected and classified with another app: The "LightsCatcher" app developed for this allows everyone to take photos of pedestrian lights in their surroundings, to classify the red / green phase and thus to support the project. Within the duration of the project, more than 3000 photos of pedestrian lights were collected and classified by several dozen volunteers, especially in Southern Germany, but also in some European cities (Link: http://goo.gl/tcvCYf). The collected images were then manually checked and further classified. From all pictures up to now about 1000 were selected and used for training the app using machine learning. New pictures are still being edited and checked, with the aim to further improve the detection rate. The app trained with the collected images is at present able to detect the traffic light phase reliably in a large part of pedestrian traffic lights. The applicability at the moment is limited by the distance to the traffic light and the light conditions. It is, however, to be expected that with an increasing number of images the detection rate can be improved still further. After completion of the project, the project is to be published on a Citizen Science platform and further framework projects will be pursued. The trained network and the collected and classified images are open source and available for other projects. ERROR: Content Element with uid "7222" and type "media" has no rendering definition! 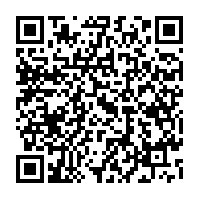 The LightsCatcher app can still be used and is available free of charge in the respective app stores. The "Ampel-Pilot" app is available free of charge as a demonstration on the Google Play Store on 25.06.2017.